Small Humidified Cabinet, Single Door. 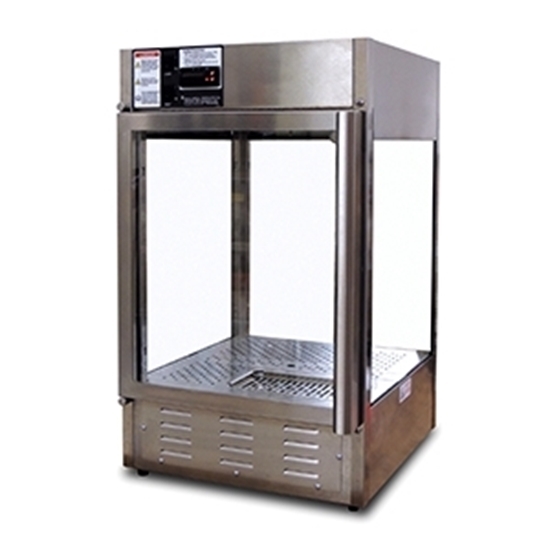 The Humidified Warmers are single door, countertop base model units without graphics. 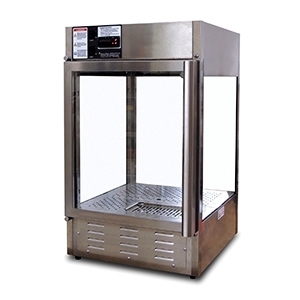 Unit heat is digital controlled; suitable for holding volatile food products (holds precooked product at serving temperature; not designed for cooking or reheating). •Door is reversible from left hand to right hand operation. •Rotisserie drive motor for rack rotation (Flat Rack does not rotate).